I promised I was going to do reviews of several books I really enjoyed, so add this one to the list! 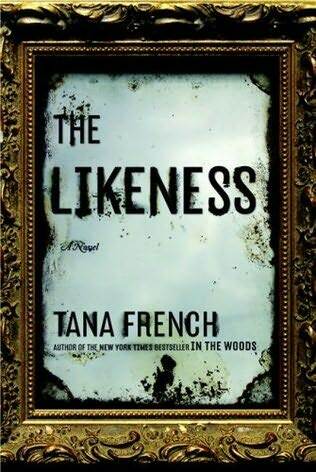 The Likeness by Tana French returns to Ireland in order to follow up with Detective Cassie Maddo, six months after the action of In the Woods. Cassie no longer works murder, and is dating Detective Sam O’Neill. Life is at least calm for Cassie, until a panicked Sam calls her from the scene of a homicide. The young woman murdered looks strikingly like Cassie and has been living with the name Lexie Madison, Cassie’s former undercover name. In order to solve the crime, Cassie returns undercover, this time posing as the murdered girl. She goes to live with Lexie’s strange, reclusive, intellectual friends, with the back story that the injury wasn’t fatal. Cassie can’t decide if they are hiding something or are just an incredibly close group. Cassie finds herself drawn to them, feeling like one of them, and losing sight of why she is there and that one may have been the murderer. People in the community are also antagonistic toward the young college students, for reasons no one will explain, and without knowing the true identity of Lexie, and without raising suspicions among the roommates, Cassie is forced to walk some fine lines in order to solve the murder. This novel requires a little leeway on the reader’s part to presume that Cassie could have a double that looks like her so much she could trick those closest to her. But once you get past the unlikelihood of the situation, this is an incredible psychological thriller. That Cassie may be living with the murderer is terribly exciting and frightening. The house, the friends, and the countryside are wonderfully Gothic, and I felt completely transported into Cassie’s world. If you haven’t read In the Woods I recommend it because it was pretty good (although I think this one was better), but if you haven’t read it I don’t think it is necessary to before picking up The Likeness. The plot doesn’t rely on In the Woods much, and when it does French catches the reader up. Try The Likeness if you liked Tana French’s In the Woods. This entry was posted in Book Reviews, General Fiction and tagged In the Woods, police procedural, Tana French, The Likeness. Bookmark the permalink.